Just a few years ago, conventional wisdom held that China was a cash society. However, that is rapidly changing with the growth of mobile payment platforms like Alipay, Baidu Wallet, and WeChat Wallet. These cashless payment methods are now accepted not only on e-commerce sites, but also the majority of brick-and-mortar stores, supermarkets, and restaurants, and increasingly even at streetside food stalls. That said, using them still requires setting up a good old-fashioned domestic bank account. Opening a bank account requires only a passport, a proof of address, and a minimal deposit, though you will need to bring a Chinese-speaking friend or colleague since most banks still do not have customer service in English. You’ll also need a Chinese mobile phone, which is used to verify your identity across a whole range of services. Be sure to note the details as the bank records them, particularly your name: have they put your surname first? Used your middle name? Put it all in capitals? These details are vitally important when setting up mobile payments. Unless your employer issues salary payments through a specific bank, it is best to base your choice on convenience. Be sure to open your account at a branch near your home or office since you will need to return to this location to replace lost or stolen cards. If your work involves a lot of domestic travel, consider a bank with ATMs nationwide such as Bank of China or ICBC. Domestic accounts carry a single withdrawal limit of RMB 2,500 and a daily withdrawal limit of RMB 20,000. Take great care to avoid losing or damaging your card, as it is a hassle to get a new one. The replacement process can take up to a week – or longer if it is a national holiday. It is impossible to withdraw money during the waiting period, even if you present your passport in person to a bank clerk. All the “Big Four” banks offer online banking in English: Bank of China (BOC), China Construction Bank (CCB), Industrial and Commercial Bank of China (ICBC), and Agricultural Bank of China (ABC). Their usability varies, and you may run into problems using your passport number as ID with systems set up for an 18 digit Chinese ID number. The best online and mobile services are probably those of China Merchants Bank, but for everyday purposes Alipay and WeChat Wallet are far more useful, if not essential (see next page to set up these services). The State Administration of Foreign Exchange (SAFE) severely restricts the outward flow of renminbi, so it can be difficult for expats to get money out of the country. The limit for overseas transfers is a paltry USD 500 per day for foreigners. Though both foreign and Chinese nationals are limited to USD 50,000 per year for accounts held in RMB, Chinese nationals can wire that amount in one transaction. If you are an expat working for a foreign company and paying all your taxes, your company should be able to apply on your behalf for a wire transfer of over USD 50,000 without issue. If you do not work for a foreign company, the simplest way to transfer a considerable sum of money overseas is to go through a trusted Chinese friend or colleague. You will need your passport, domestic bank card, the details and address of your foreign bank account, its SWIFT code, and the permanent address tied to that account. The bank will require you to convert the renminbi to the foreign currency in-house before making the transfer. Charges vary and include a basic commission fee, plus a small percentage of the amount being transferred (typically 0.01 percent). For reference, Bank of China has a basic commission fee of RMB 80 while China Merchants Bank charges RMB 100. Alternatively, Alipay and the Bank of Shanghai offer an international transfer service that allows Chinese nationals to wire up to RMB 350,000 per transaction or month for a reasonable commission fee. The transfer must be done from a Chinese national’s Alipay account, so again, choose someone you trust. Another option is Western Union, which has higher transfer limits but only allows transfers in USD or EUR. In addition, someone has to receive the money transfer, which means you have to provide their name, address, city, state, country, phone number, and gender. Commission fees vary from USD 15-30 depending on the amount being wired. For a list of locations, visit www.westernunion.cn/en or call 800 820 8668 (press 2 for service in English). It can be tempting to use illegal methods to move money out of the country, but do not do it – it is simply not worth the risk. When in doubt, retain the services of a tax lawyer who is well-versed in Chinese capital control regulations. Keep in mind that you can carry the equivalent of up to USD 5,000 in cash when flying out of the country; anything between USD 5,000 and 10,000 must be declared and amounts of over USD 10,000 are prohibited. On a lesser note, beware of fake bills. There is little incentive to turn them in, as banks will usually not replace money lost. As a result, people often try to shift fake bills onto others. For example, some taxi drivers have been known to surreptitiously replace a real RMB 100 bill with a fake one and make a big show of examining the money, only to claim the customer gave them a fake bill. Carry smaller denominations whenever possible and always be aware of your surroundings. 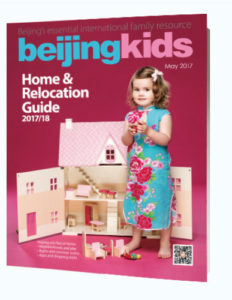 This article originally appeared on p 40 of beijingkids May 2017 Home & Relocation Guide. I recently went to open a bank account at China Merchant’s Bank （招商银行）and was told I need to provide a Chinese personal tax ID number （个人纳税号）in addition to the passport I’d brought along. I have no idea what it is, and since it was the weekend I couldn’t ask my company’s finance dept. Is this a new regulation for all banks? Hi Yoshiko, we’ve asked our company’s Finance Department (who work with China Merchant Bank) and they don’t understand this. I certainly wasn’t asked for it when I opened my account there. We’ll continue investigating, but sometimes you get a different answer if you go on a different day and ask a different person… Might be worth trying again, and we’ll update here if we discover anything further! Hi Andrew! Thanks for looking into this– I’m planning to go try a Bank of China to see if they require it too. I’ll report back when I do, in case this really is (or isn’t) a new requirement! Great, hope you get it sorted! Please do let us know if the rules have changed and we’ll update the article.